Industrial Services is a premier waste management provider in Lincoln, NE. Serving both commercial and residential clients, the experienced professionals offer a wide range of trash pickup and removal services, whether you need them one time or on a recurring basis. With over a century of experience, the team at Industrial Services values the time and needs of their clients, offering multiple pickup times to provide the most convenient options for your schedule. 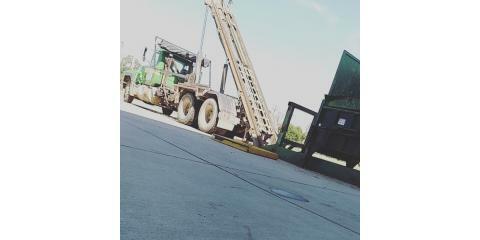 The company uses high-quality, state-of-the-art equipment to prevent breakdowns and ensure every waste disposal operation is completed in a safe and law-abiding manner. Residential customers are provided with weekly curbside recycling and garbage collection. The company works with a local recycling center to offer an eco-friendly waste removal option for their clients. They also provide junk removal for household items like furniture and appliances, as well as leftover building materials such as roofing and siding materials. On top of recycling and trash pickup services, commercial clients can rent equipment including front-load containers, roll-off containers, and compactors. All of these containers are maintained by Industrial Services, and the waste management company will routinely collect and discard the unwanted material. They also provide vac tank pumping, liquid hauling, and spill cleanup for non-hazardous materials. To schedule an appointment or request a free service estimate, contact the waste management experts at Industrial Services by calling their Lincoln office at (402) 467-3581. Check out their website to learn more about the full extent of their services.